Prioritising underserved areas is only now viable - jxeeno blog. During NBN Co's early years, prioritising underserved areas would have been a poor decision to make. With a transit network barely built and relatively few Points of Interconnect established, it would have cost a lot more to target construction in "underserved areas" which are scattered around Australia. The problem was caused and exacerbated by the ACCC choice of the 121 points of interconnect — diversifying NBN Co's construction plan to begin construction around these 121 locations… rather than prioritising locations that were most profitable, or most underserved. Construction of Brownfield areas were prioritised based on completion of transit networks and consequently, closeness to a Point of Interconnect. But now with 80% of the transit network complete, and most Points of Interconnection established and commissioned — the Coalition's "prioritise the underserved areas" plan could actually be feasible thanks to the major construction of a transit network that NBN Co has been undertaking for the past 3 years. Through utilising Telstra's dark fibre and rolling out their own transit fibre networks, DWDM links between POIs (Points of Interconnect) and between FAN (Fibre Access Node) sites are now 80% complete. Historically, NBN Co built TFANs (Temporary Fibre Access Nodes) to connect Greenfield developments where the local Point of Interconnect was yet to be established (or where no service providers have cross-connected). This expensive exercise utilised a managed backhaul service (e.g. 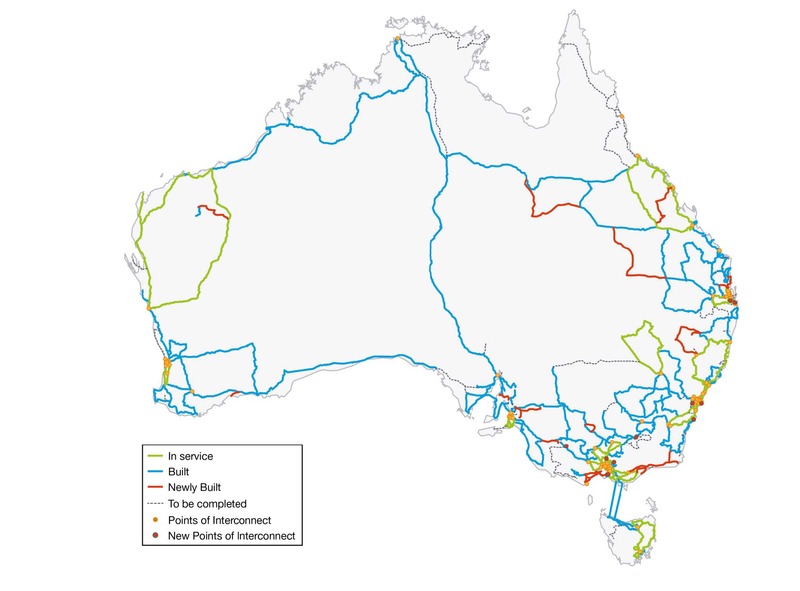 from Telstra) to connect these isolated fibre distribution areas to NBN Co's interim aggregation points in major cities. A deployment for underserved areas could work similarly to the current Greenfields deployment. But now, it may actually be feasible to connect a patchwork of isolated fibre distribution areas or copper distribution areas (for FTTN) en masse back to the local Point of Interconnect. Only one problem remains — provider availability. At this point in time, there are still 60 Points of Interconnect (of the 121) that have one or less service provider cross-connected and CVC ready. NBN Co would need to persuade their access seekers to connect to these Points of Interconnect to serve some 200 premises that were considered underserved. Most Greenfield developments were connected to an interim point of interconnect to ensure there was no provider shortage. Telstra is the only access seeker who has fibre tails to all "established" POIs (this excludes Depots built by NBN Co) since the Points of Interconnect are actually housed in existing Telstra exchanges. Does that mean the same managed backhaul service will get again need to be implemented to ensure these isolated patchwork services can get the provider competition they want? Or are these underserved areas going to be left for Telstra yet again? Yes, it's now viable to build a patchwork of isolated fibre distribution areas or copper distribution areas (for FTTN) en masse to underserved areas. But with over 30% of areas classed as D or E in the MyBroadband analysis in rural or remote Australia, most of these areas may well be served by the Long Term Satellite or Fixed Wireless anyway… how far can NBN Co "accelerate" underserved areas if these areas are so isolated and separated from each other? At the end of the day, there will continue to be the fringe 10-20% of each Telstra distribution area who won't be able to receive decent ADSL services today. You can't really please everyone — regardless of rollout strategy.